IE54: Jonathan Wai. Recognizing Spatial Talent In Students. Browse: Home / 2015 / September / IE54: Jonathan Wai. Recognizing Spatial Talent In Students. 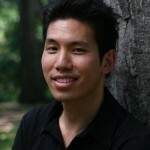 Jonathan Wai, Ph.D., is a research scientist at the Duke University Talent Identification Program and a visiting researcher at Case Western Reserve University. He did his postdoctoral work at Duke University, holds a doctorate from Vanderbilt University, and graduated from Claremont McKenna College. He researches and writes about the development of talent, broadly conceived, and its impact on society. His interests focus on the role of cognitive abilities, education, and other factors that contribute to the development of expertise in education, occupation, and innovation. Additionally, he is interested in policy implications of developing (or failing to develop) talent, and connecting his work with the larger global conversation. Dr. Wai’s work has started international conversations, and has been covered in the New York Times, Wall Street Journal, Washington Post, CNBC, Financial Times, The Economist, Scientific American, Wired, Education Week, Nature, Science, and newspapers all over the world. In addition to academic publications, his public writing has appeared in Psychology Today, Los Angeles Times, Forbes, Education Week, NPR, and many others. He is a contributing writer to Psychology Today, Business Insider, Quartz, and others, where his ideas have reached millions of people. He has been profiled in Rotman Magazine. His work has won multiple international Mensa Awards for Research Excellence. He has served on the board of directors of the MATHCOUNTS Foundation. He lives with his wife, son, and cat.